It’s well known that page loading time is an important part of user experience. Google pays a lot of attention to website page load speed and consider it an important factor when it comes to search engine rankings. So, fast loading sites will most likely to rank higher in search engines, gets more visits (more returning satisfied visitors), and have a higher conversion rates than slower sites. Images are responsible for big percentage of page loading time. One great way to reduce page loading time is to reduce size of image files on the page. Optimus plugin is made for this job. Optimus targets a lossless compression of media uploaded to WordPress while focusing on protecting your data, it slims down the original image and all preview images of the original uploaded image. 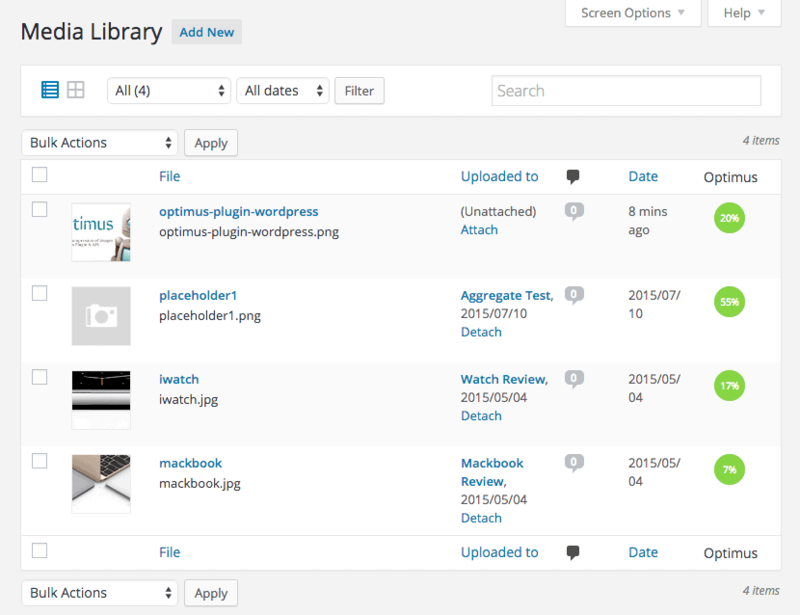 The Optimus plugin is free of charge, it can be downloaded from WordPress repository. however, the free version is limited to the essential features. This is a cool feature in the plugin to allow you bulk optimize images on your website with one-click. You can find this feature under the Tools menu in your WordPress dashboard (Tools > Optimize all images). Once you click on the “Optimize all images” button, the plugin will start to automatically optimize images and show you the process. You mostly will need to optimize all images on your website when you first install the plugin, after that, all new images that you upload latter on will get optimized automatically whenever you upload it via the WordPress media uploader. In the Media Library list page, a new Optimus column will show. The percent value in the circle displays the achieved optimization rate of each image. Want more power and features? The Optimus HQ (Premium) can handle several image formats, compress larger files and connects through HTTPS. More details on optimus.io site. Once you get Optimus HQ, you will receive an activation key that you can use to get the premium features and be able to compress more image formats. The Optimus HQ PRO (Premium) license allows you to use the Optimus plugin on customer websites, this is very useful and will save you money if you develop websites for clients. Hesham Zebida, now that we have moved to AMP, there seems to be some problem with the plugin. Hopefully, they can update, too. Otherwise, we now do all our image compression before ever uploading an image. 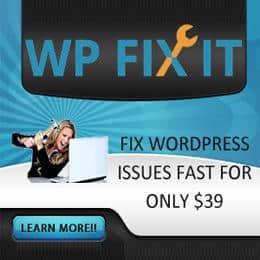 This plugin is impressive in many ways; one aspect that I find of particular value is its “Support of WordPress Mobile Apps” for my clients using Apps. For clients who want to upload their own images and that don’t have Photoshop, I recommend the Optimus plugin. Can you tell me how much weight that installing and activating the plug-in adds to the website? Is it probably that the image is lighter and the whole site is heavier to accomplish that task? Due to the way the plugin works, there shouldn’t be any impact on site dashboard, or hosting resources. The plugin tend to customize images while you upload them via the Media uploader, after image is saved, the plugin does nothing, really! In other words, uploaded image will be customized then saved, your site will display the image like it usually does (in this case, it’s the customized version of image). That’s pretty much it. I usually use PhotoShop to optimize images before uploading them to WordPress and I think PhotoShop is doing pretty well for me, hence it’s one of the apps that is always open on my laptop in the background! I’ve had a chance to try out Optimus plugin, I must say I love it! Getting 7% to 40% more optimized images?! That’s pretty awesome!